Last year Jared & I won the chance to have tea at the top of the BT Tower. 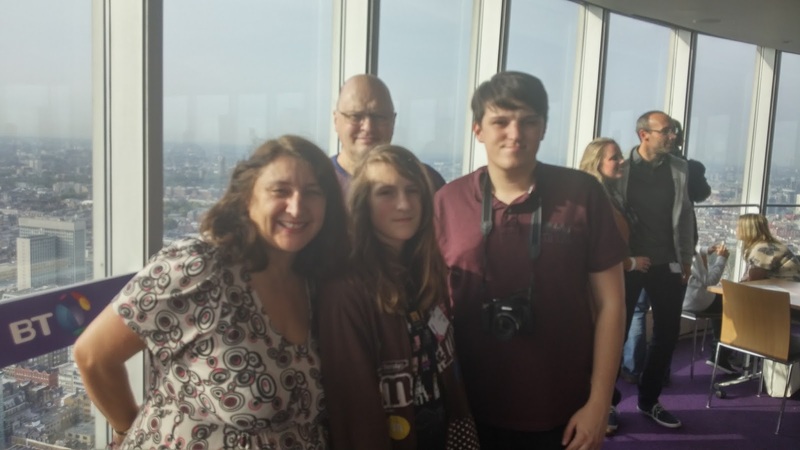 BT ran another competition for their employees and families to visit the tower to celebrate the official opening of the Post Office Tower 50 years ago, and this time Jared won 4 tickets so that Steven and Libby could come too! This time we got a glass of wine - not a meal, but it was still great to view London and all its landmark buildings.